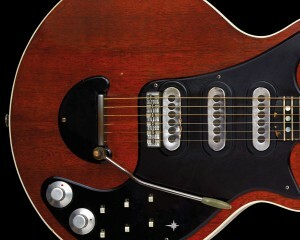 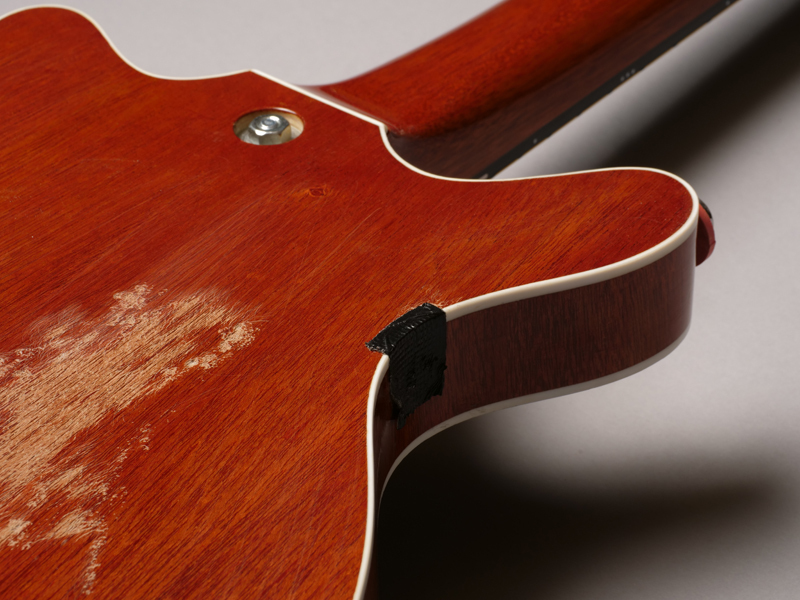 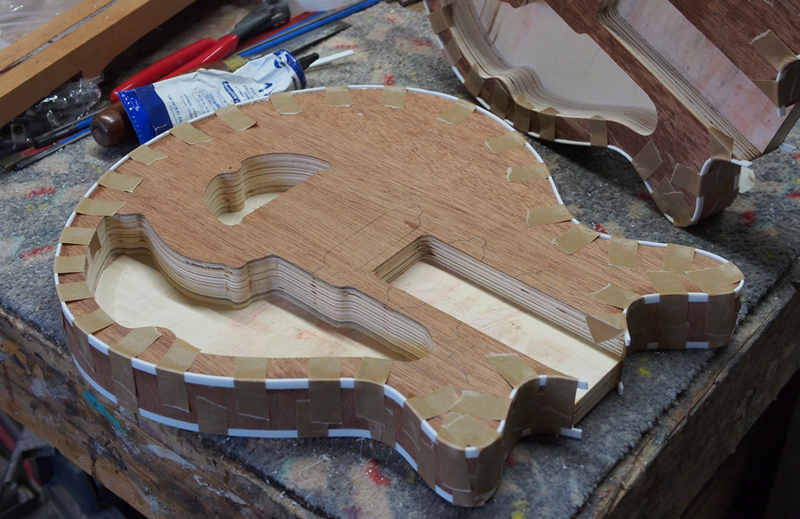 A large image of the Red Special’s innovative tailpiece. 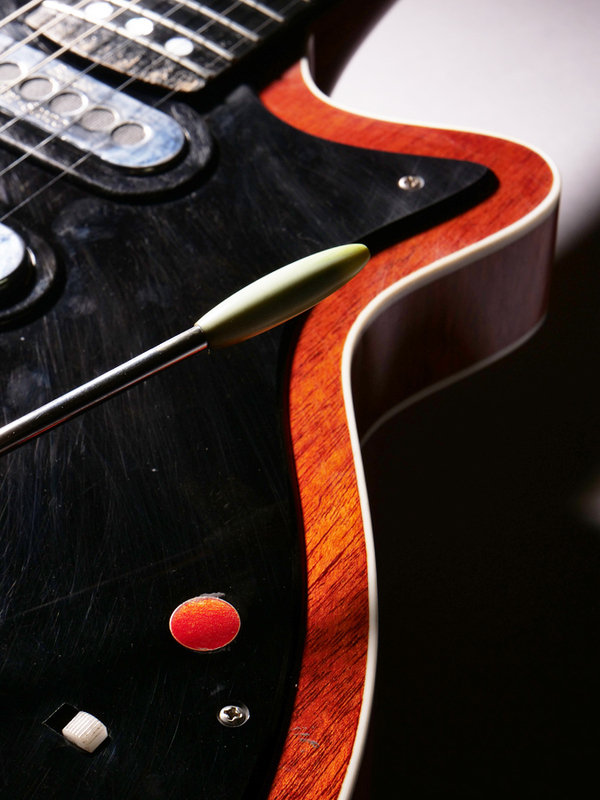 Easy to use and maintain, it’s smooth and comes back perfectly in tune just about every time. 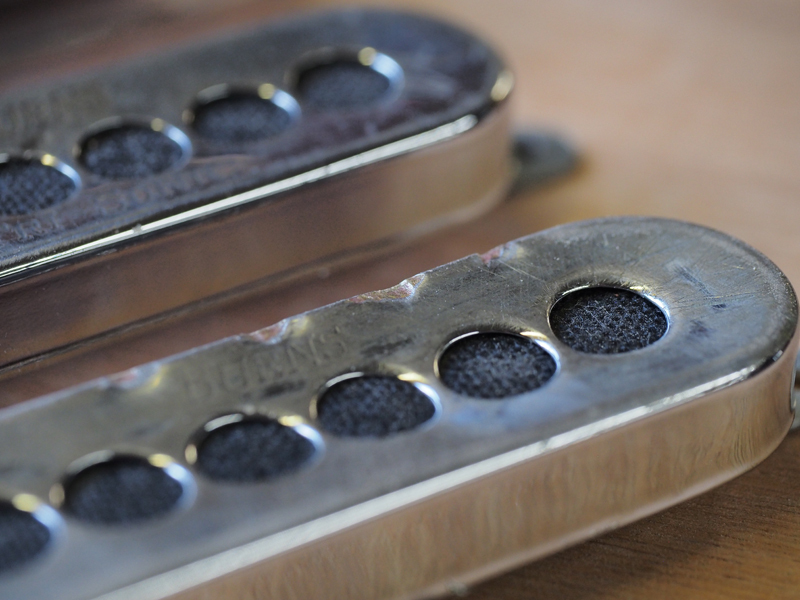 This is the last of the new pictures we’ll be sharing – at least for now. 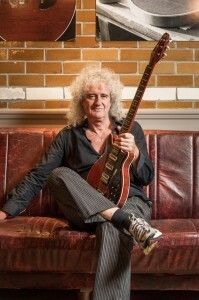 Here’s the Red Special in all its unmistakable glory, shot in 2013. 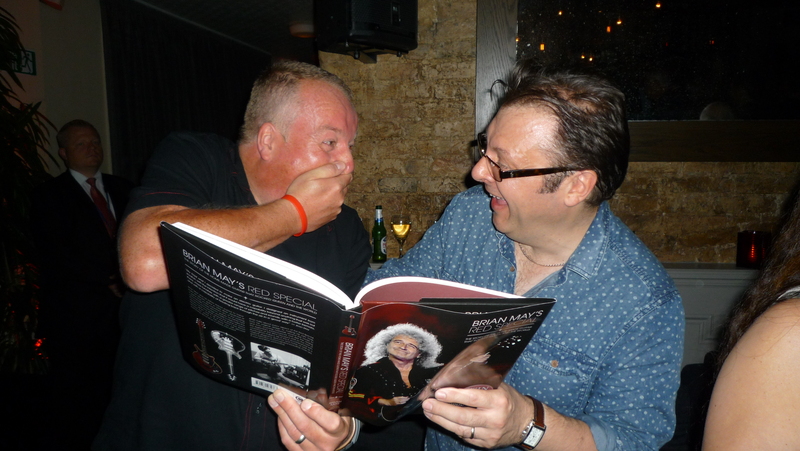 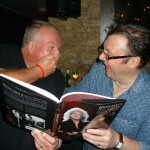 Since then it’s been around the world several times, has melted the faces of hundred of thousands of rabid punters and has enjoyed a complete overhaul courtesy of Andrew Guyton. 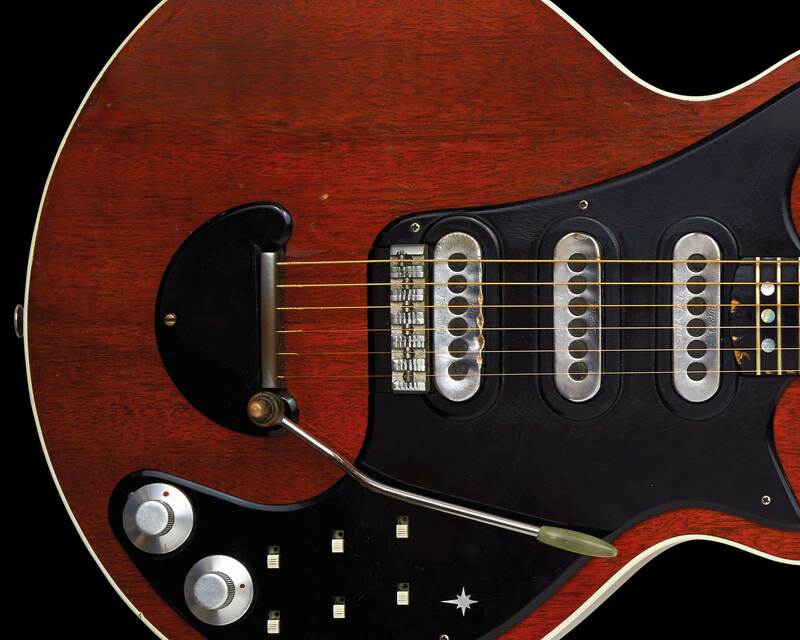 It still plays beautifully and sounds as good as ever it did. 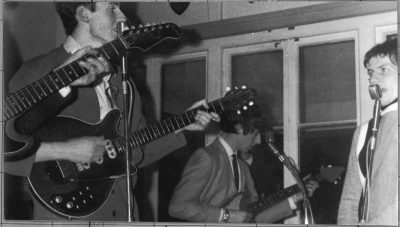 Not bad for something designed and built from scratch in suburban Middlesex during the mid sixties! 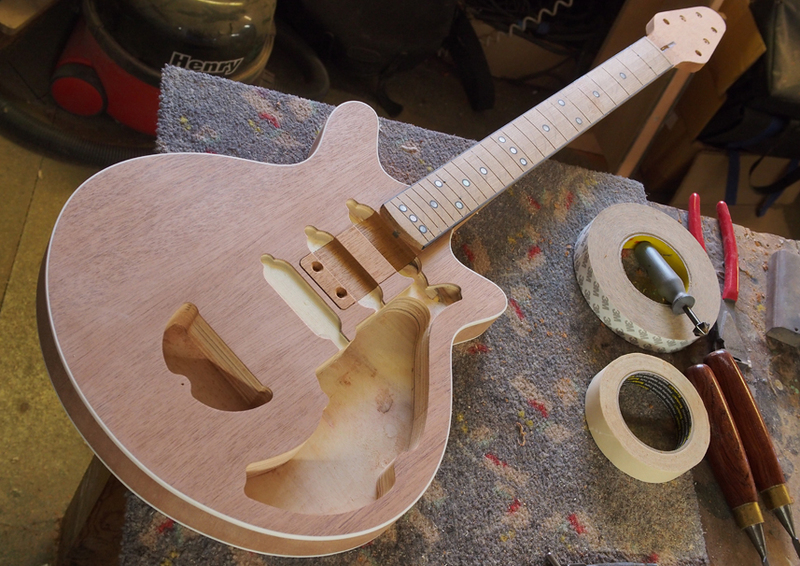 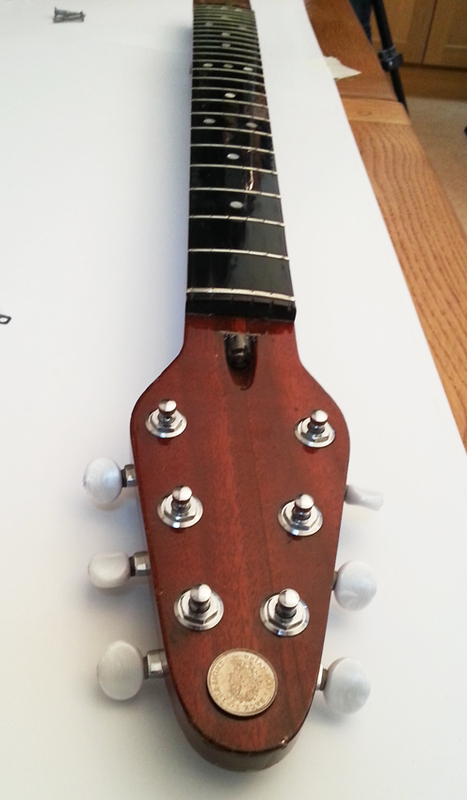 A nice shot down the length of the neck and fingerboard. 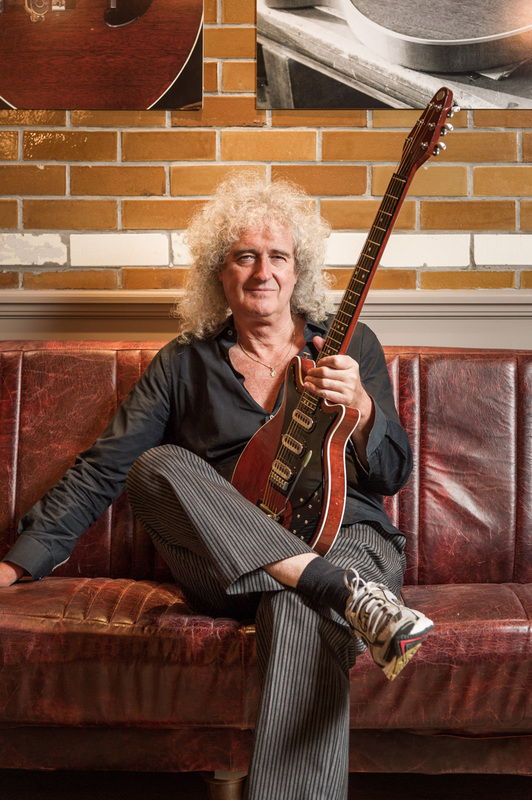 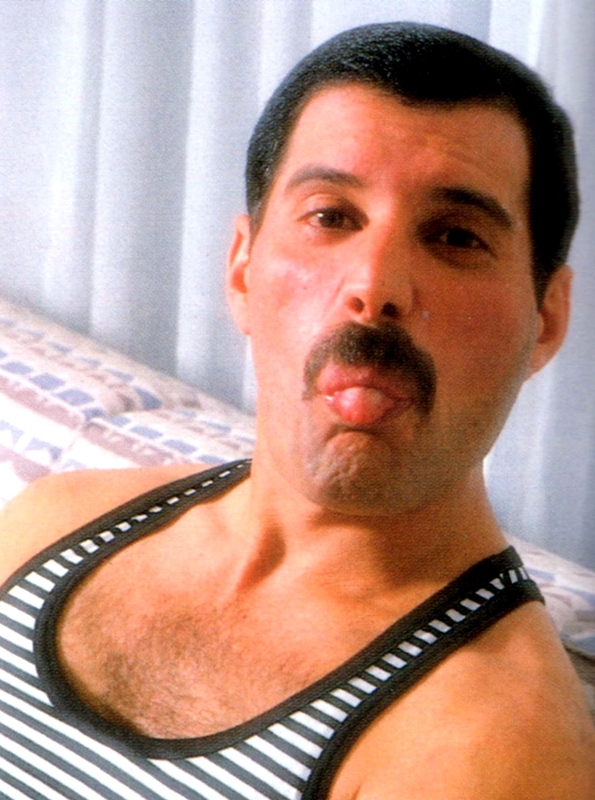 Note that the coin affixed to the headlock by Brian himself is actually a Brian May ‘Maydusa’ sixpence, not a genuine example of that old English coin. 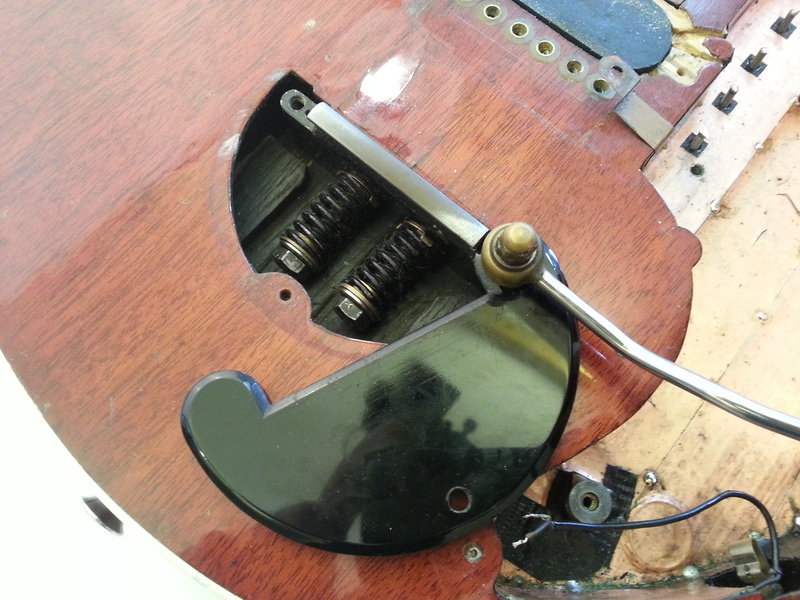 The original machineheads wore out long ago and have been replaced on several occasions. 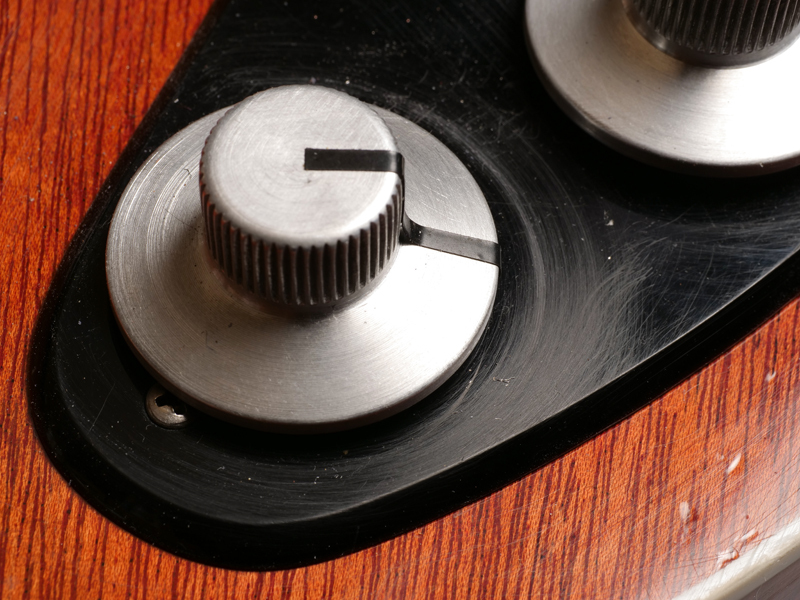 These are the widely-available locking Schaller M6 tuners with pearloid buttons. 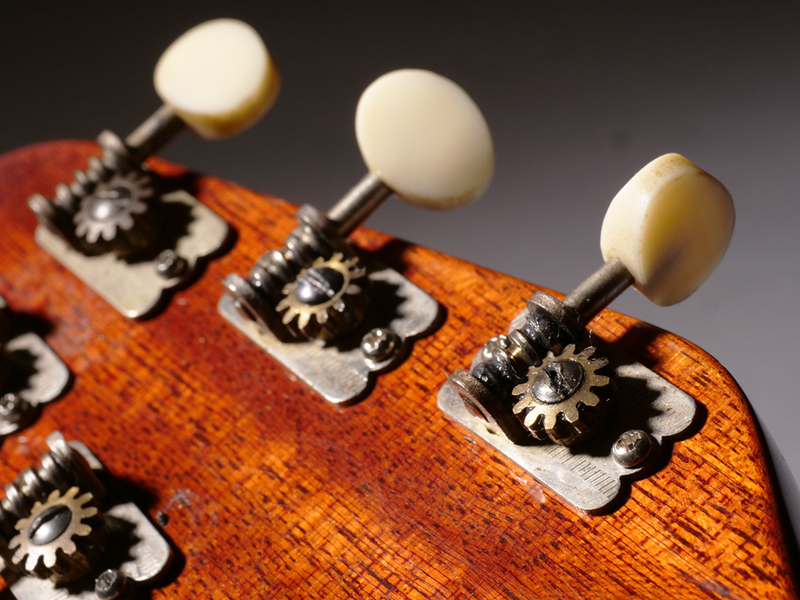 We can see the pitted nature of the frets too and, as is well known these days, the Red Special has never been refretted during its long and eventful life even though, in conventional terms at least, it could really do with it! 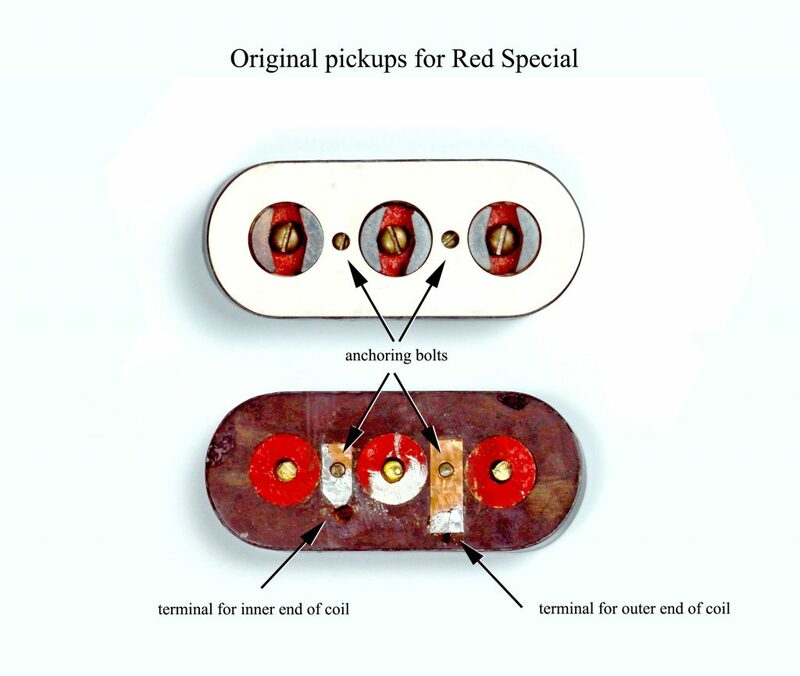 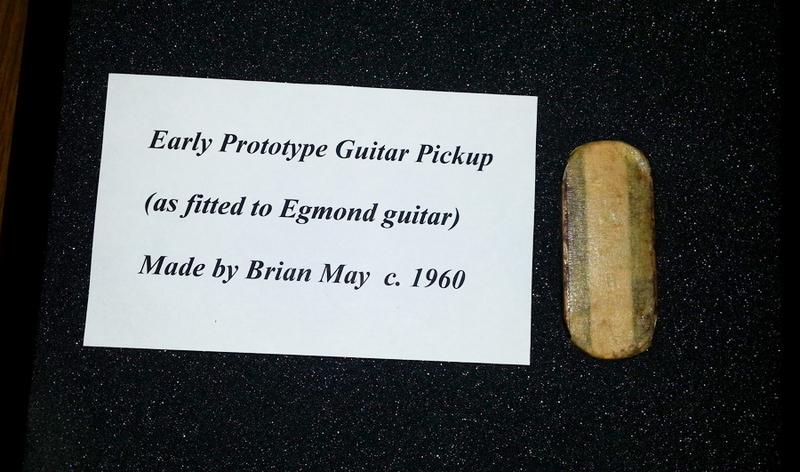 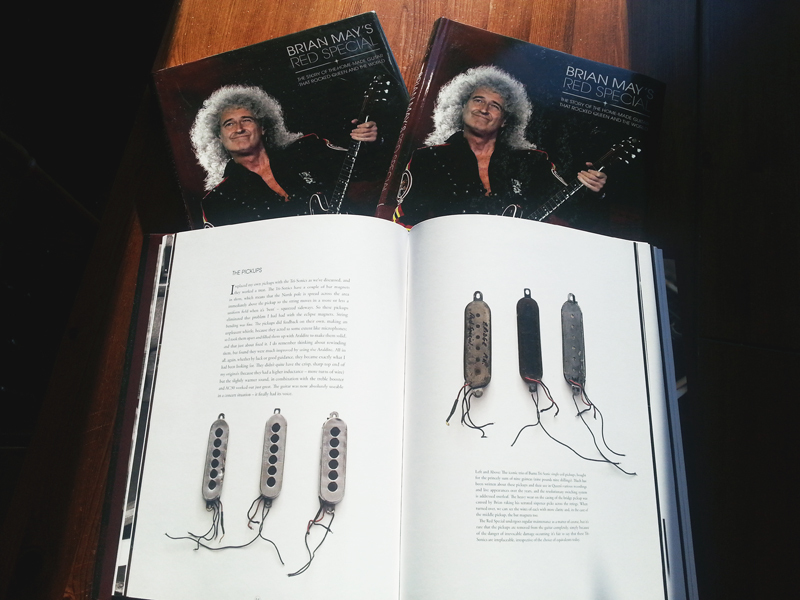 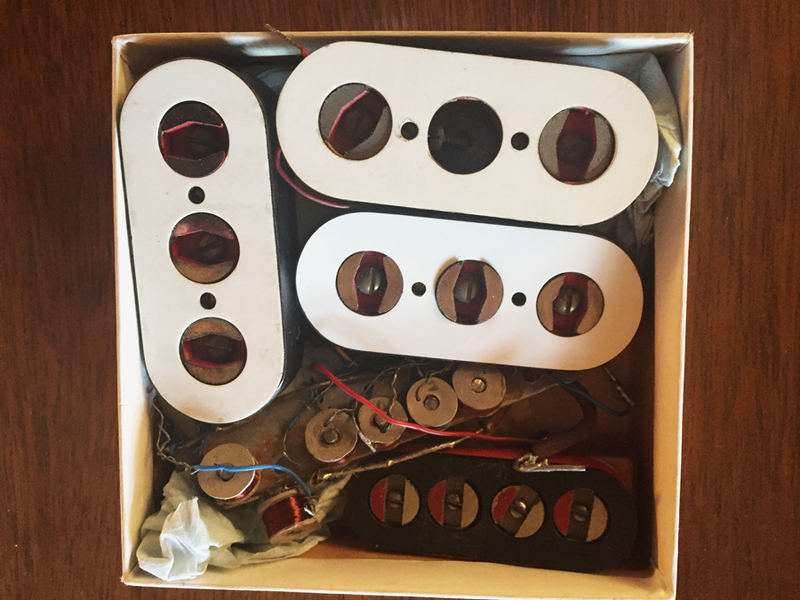 As Brian told Simon for the book ‘Brian May’s Red Special’, he wound a further three of these pickups from scratch and by hand with the intention of fitting them to the Red Special. 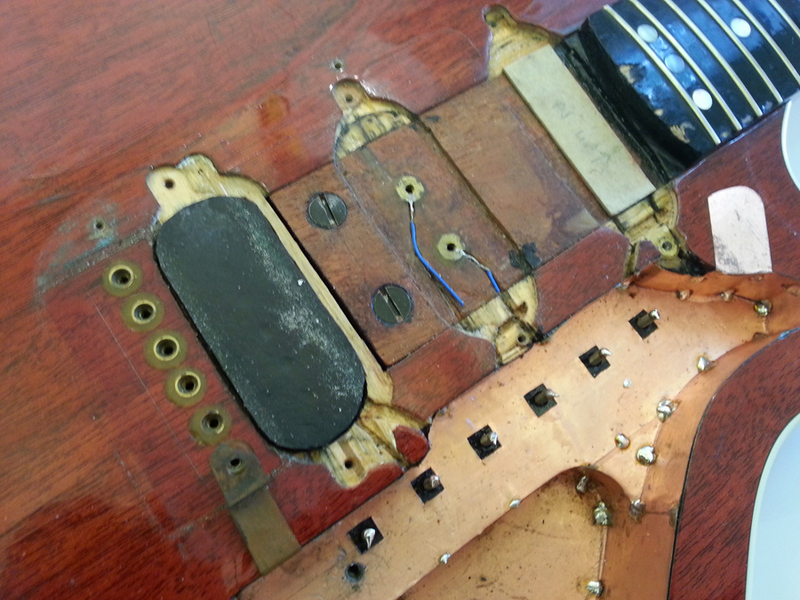 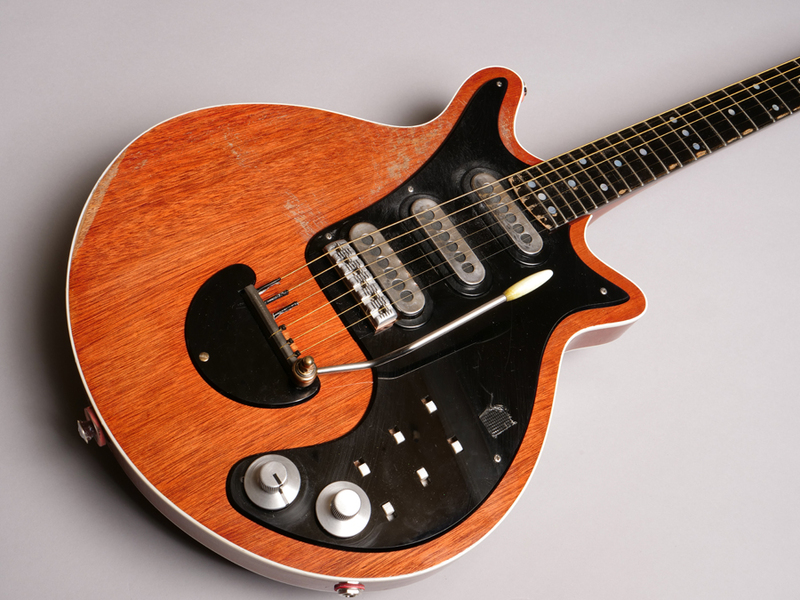 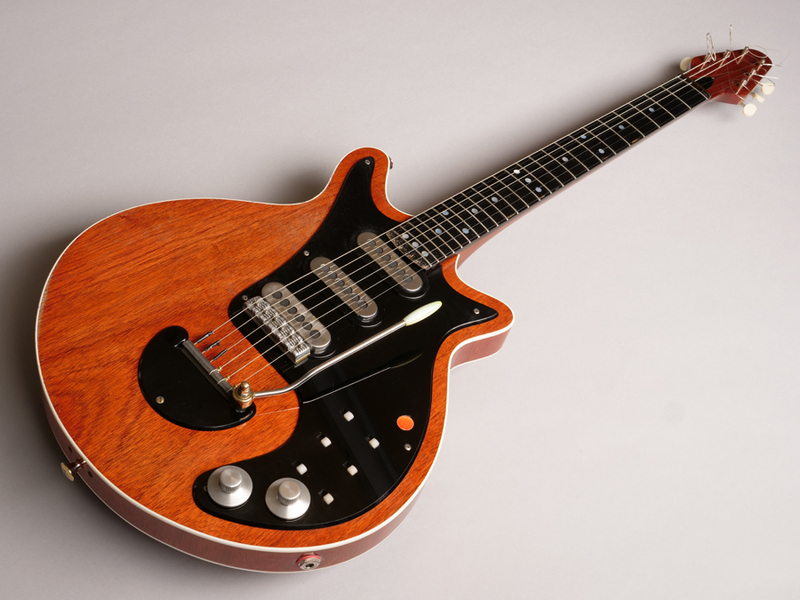 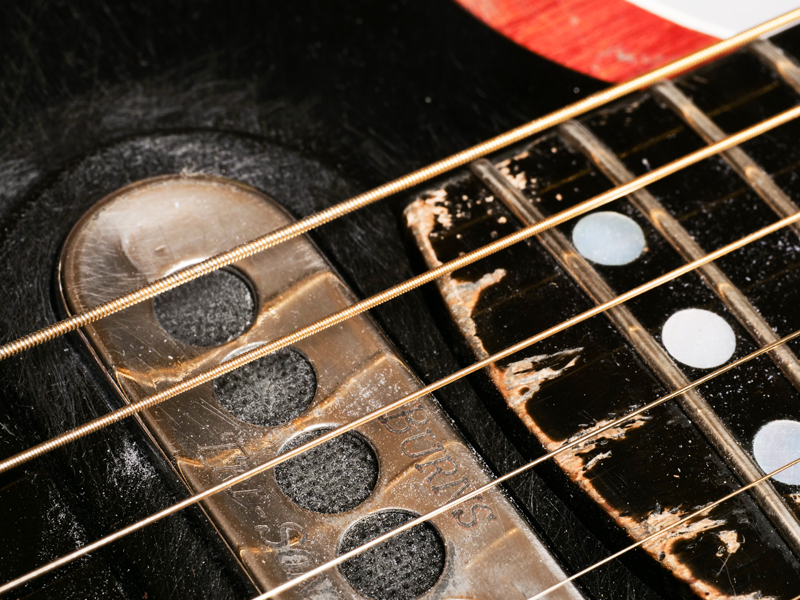 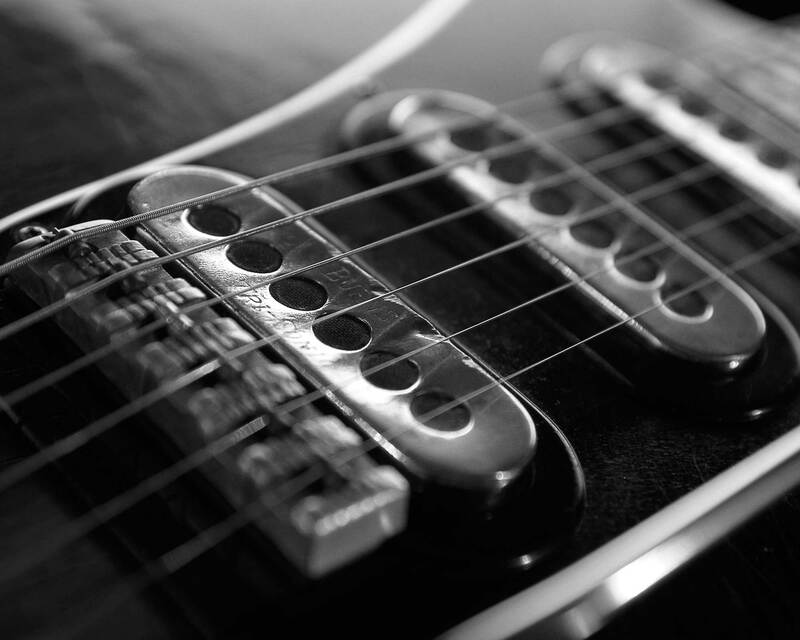 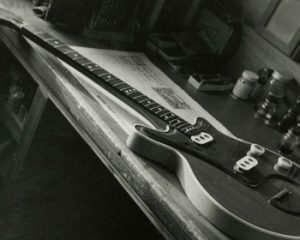 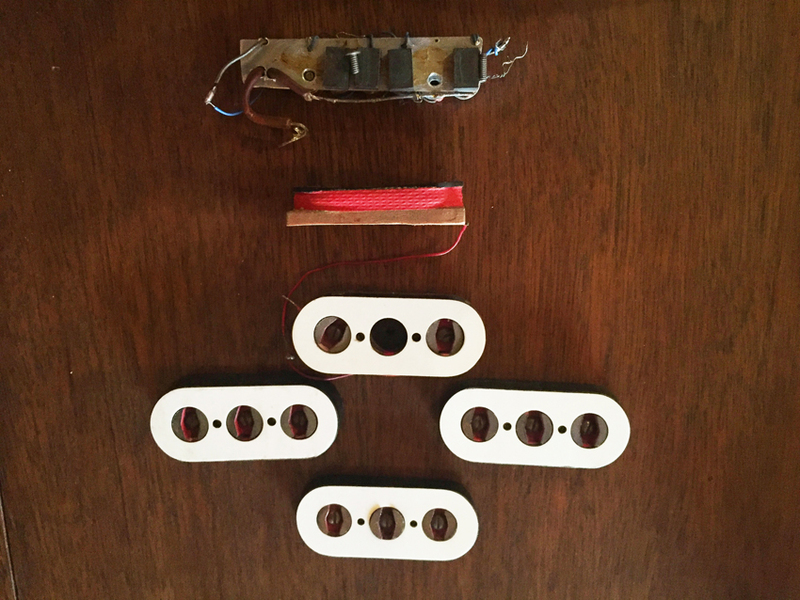 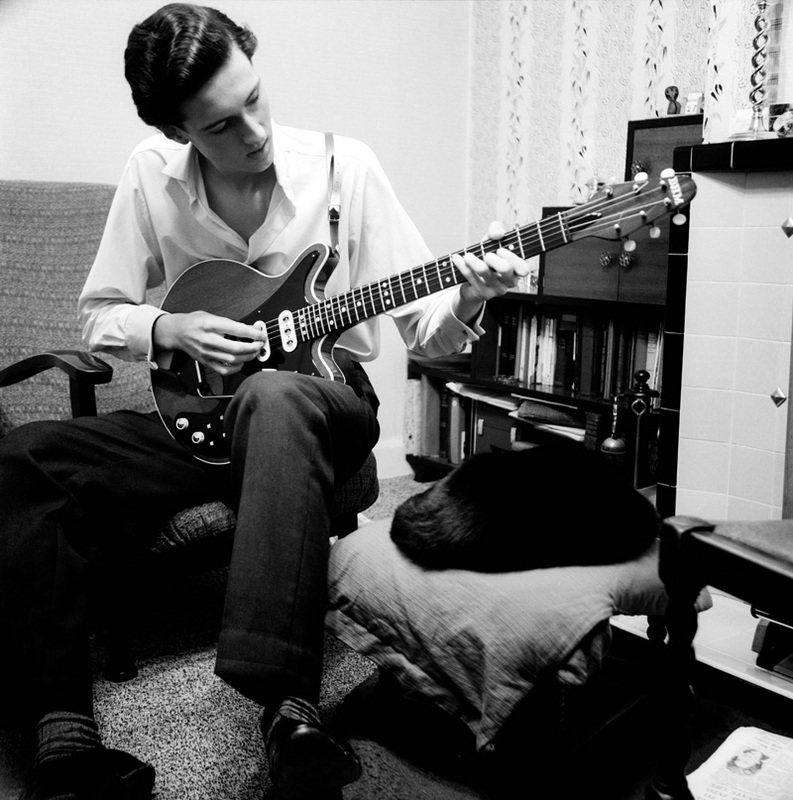 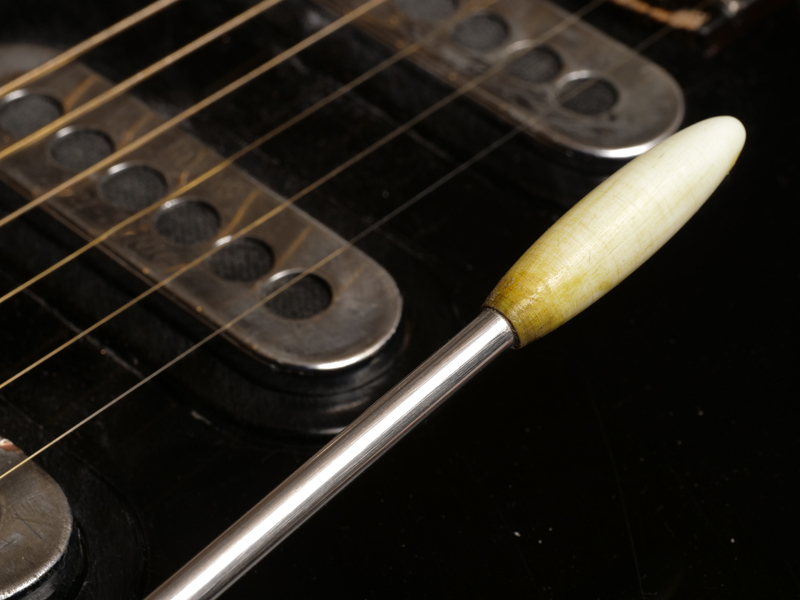 However, issues with the polarity of the magnets and how they interacted with the strings as he bent them across the pickups led to the purchase of a trio of Burns Tri-Sonics single coils. 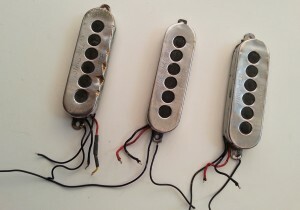 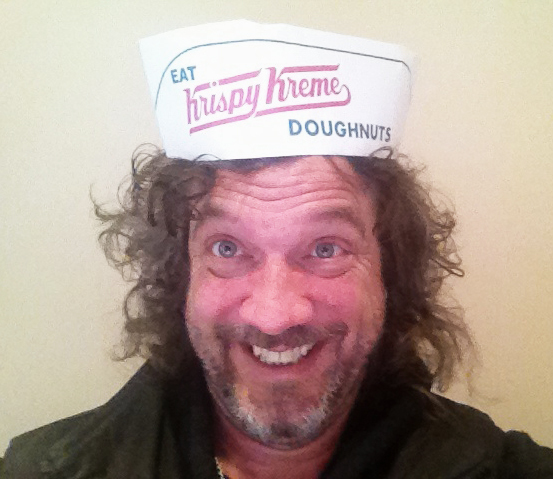 And lo, with the revelation of the wonders of the Vox AC30 a mere five years away, a tone was born.